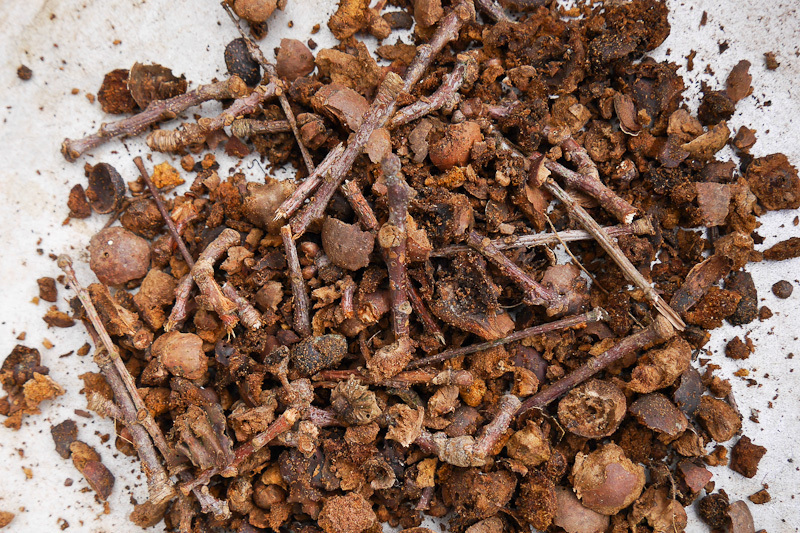 Raw material – a mix of crushed oak galls and twigs. 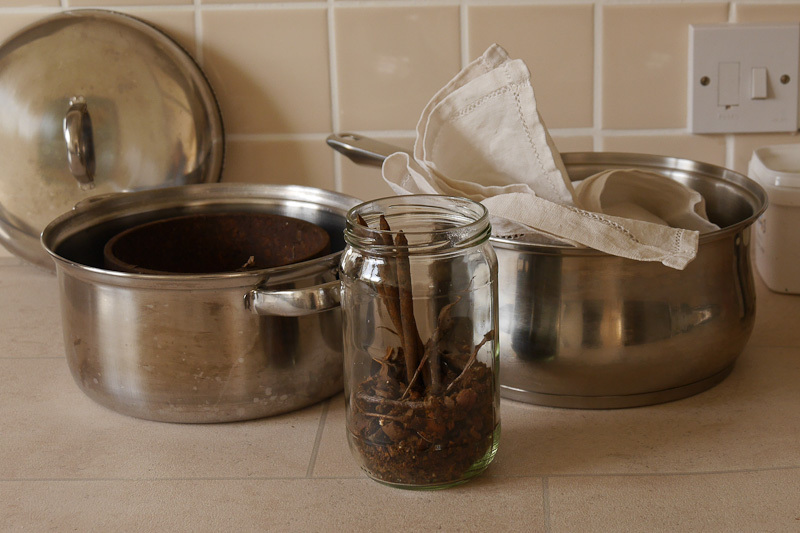 Ingredients assembled: selection of rusty iron objects, crushed galls, old linen cloth from charity shop, old saucepans. Combined fabric dyeing and ink making in progress. Oak galls and rusty nails in jar filled with plain water. Linen cloth soaked in clean water then folded and wrapped around a large rusty object and bound tightly in place with string. 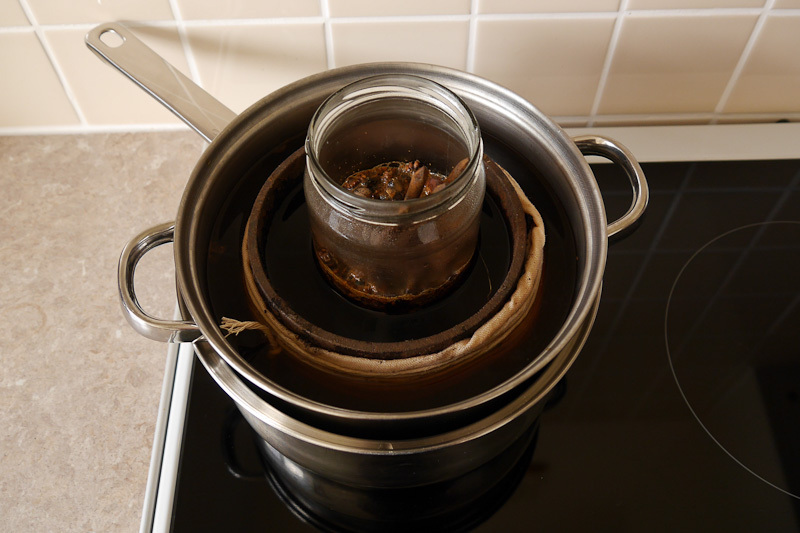 The inner saucepan is filled with strong tea while the outer one is filled with water and serves as an improvised bain-marie/double boiler. After boiling for an hour or two the set-up was left to stand undisturbed for a couple of days to allow the cloth to take up the dye and the ink to ‘brew’. Both cloth and ink are intended for use as part of an ongoing project – I’ll be posting updates on this as it develops.